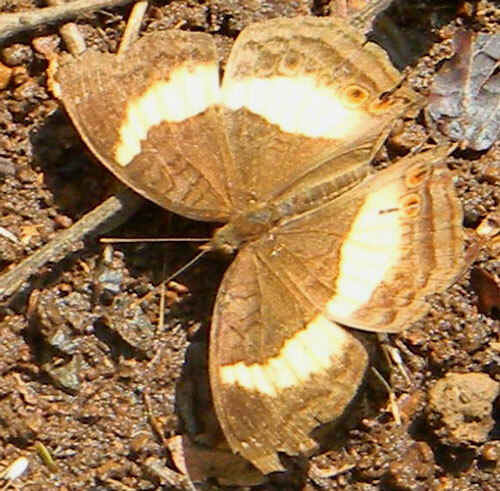 This butterfly was observed at City Park, Nairobi, Kenya, October 2010. Identification was provided by Onesmus Ndungo who is a silver-level Nature Guide. The Soldier Pansy is one of the common butterflies found in disturbed habitats across the African continent. The wings being fragile soon become tattered and torn. Bite marks from close encounters with birds or lizards are often evident. Before a month has elapsed after a butterfly's emergence from its chrysalis its energy is sapped and the wings no longer provide the aerodynamic lift needed to escape hungry predators.